A staple of home cooked meals, school dinners and those ghastly refrigerator meals that taste of loneliness. 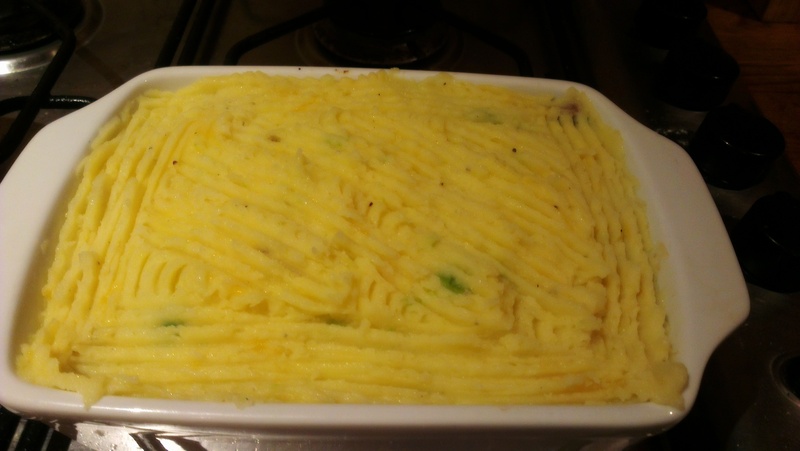 What I love about this meal is that it’s great for just using up all the last vegetables in your fridge – just shove them in under that silky duvet of mashed potato and it’ll work. Peel your vegetables and potatoes, put them them on the boil. 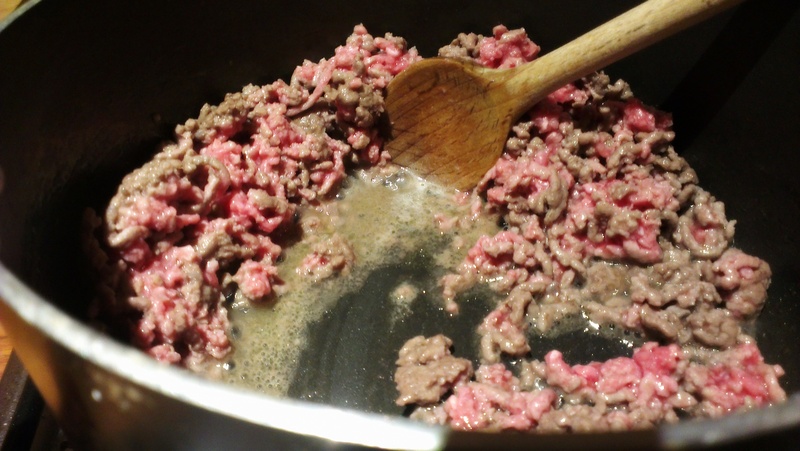 Put the mincemeat in the pan and fry over a medium heat. 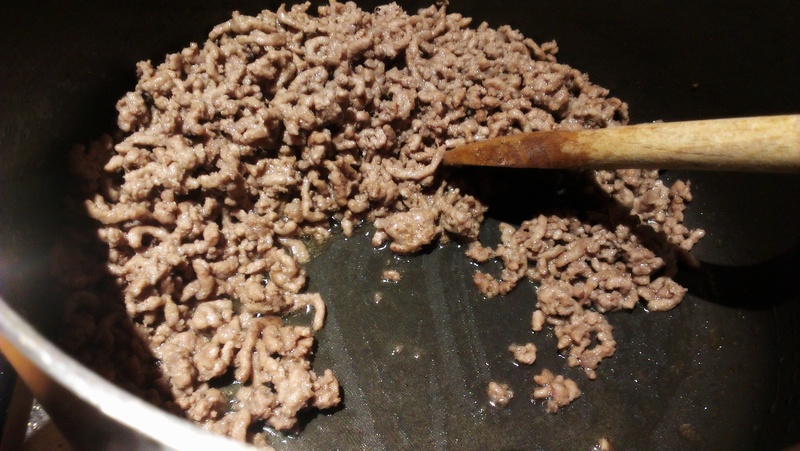 The meat will begin to sweat – cook until the liquid has reduced down and the meat all changed colour. Do NOT drain this liquid – it has important flavour to it! When the liquid is almost all gone, add a handfull of flour. 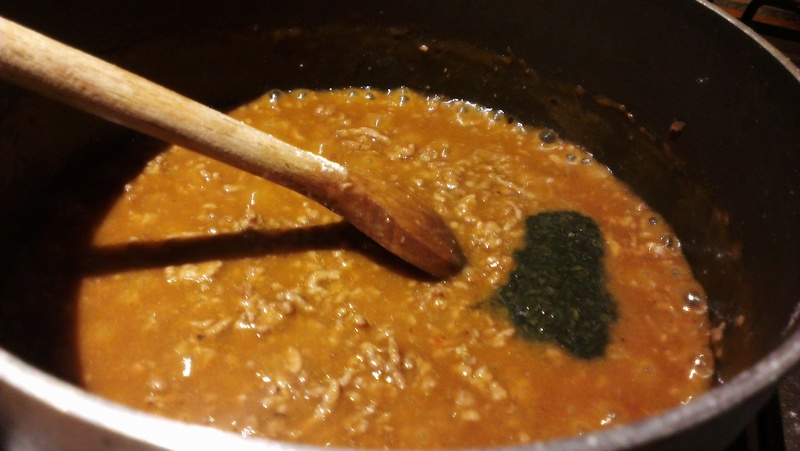 Stir through – this will help the meat brown nicely as well as helping the gravy to thicken. Pour in the COLD stock – a little more than you hope to end up with, so it can reduce down. Also add the tomato puree and any other flavourings you want. For me this was mint sauce, giving it that lamb illusion. 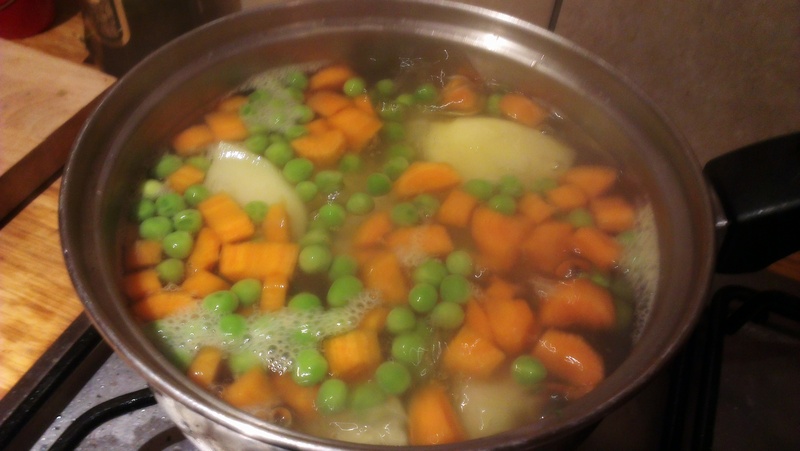 Add the boiled vegetables to the sauce. 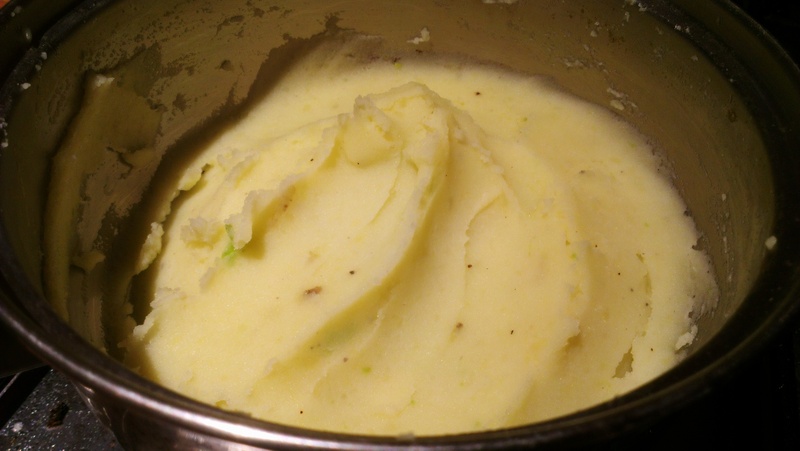 Leave on a low heat, simmering and stirring, while you prepare the mashed potato. When the potatoes are soft enough that a knife will go in effortlessly and the potato does not stick on, they’re done. Drain and mash moderately, add a bit of butter and maybe a splash of milk, then mash more thoroughly, until totally smooth. 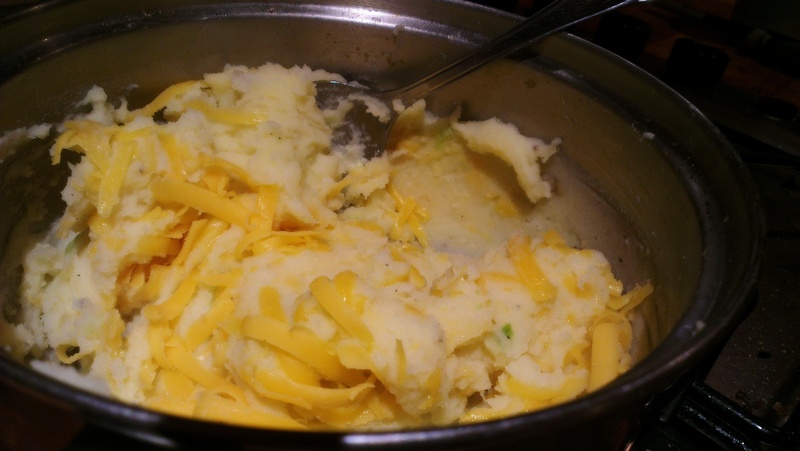 Grate the cheese and stir through the warm mash until it seems mostly melted in. Season well with salt and pepper. 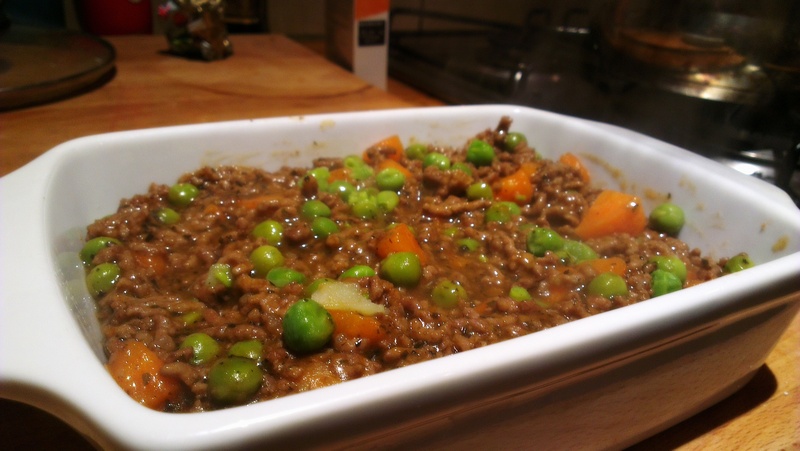 Pour the meat mixture into a suitable casserole dish so that it’s deep, but still a good centimeter below the rim. 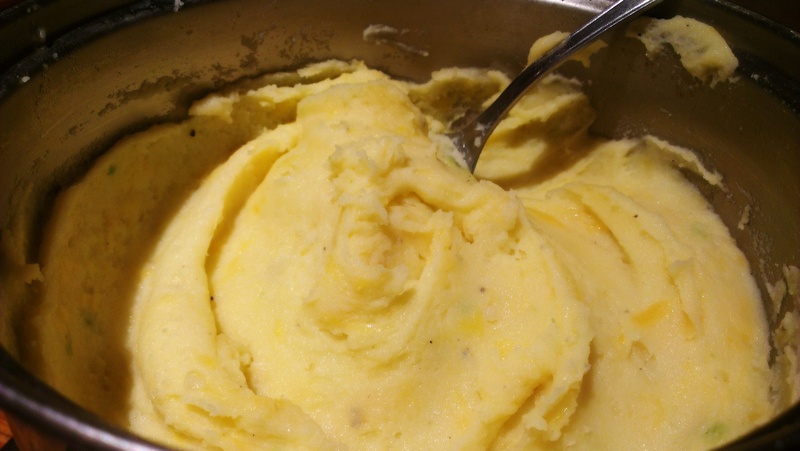 Put dollops of mashed potato over the meat mixture, then spread out with a fork. Don’t try to make the potato too perfect – wrinkles and textures will crisp up nicely. Place in the oven for around 30 minutes, or until it has browned to your liking. Now, in theory you can serve this with vegetables on the side but quite frankly, why wouldn’t you just put them in the pie itself? The pie has your carbs, protein and vegetables, so really an accompaniment would be unnecessary. To store, leftovers, simply keep in a sealed container in the fridge. Heat under the grill so it retains its freshness. 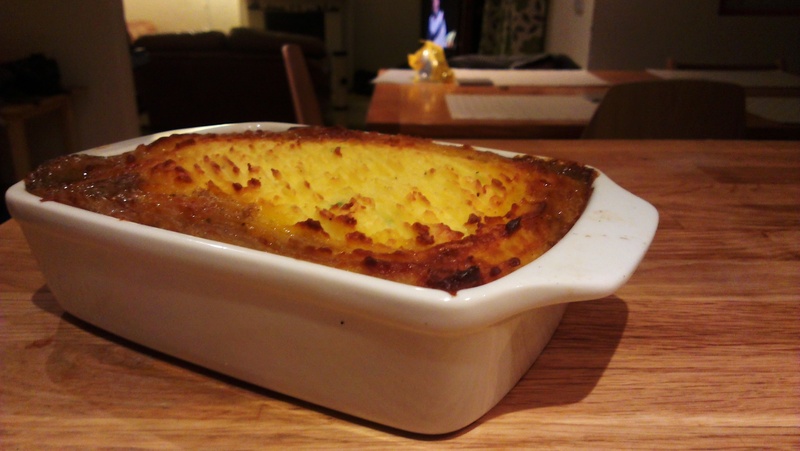 Anything you feel is vital to a Shepherd’s Pie you think we missed? Let use know! 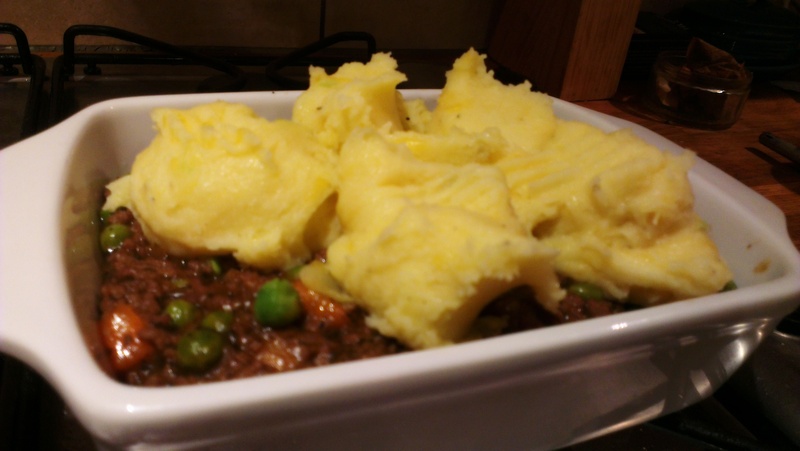 Posted in Beef, Guesscipes, MainsTagged beef, cottage pie, easter, lamb, mincemeat, recipe, shepherd's pieBookmark the permalink. 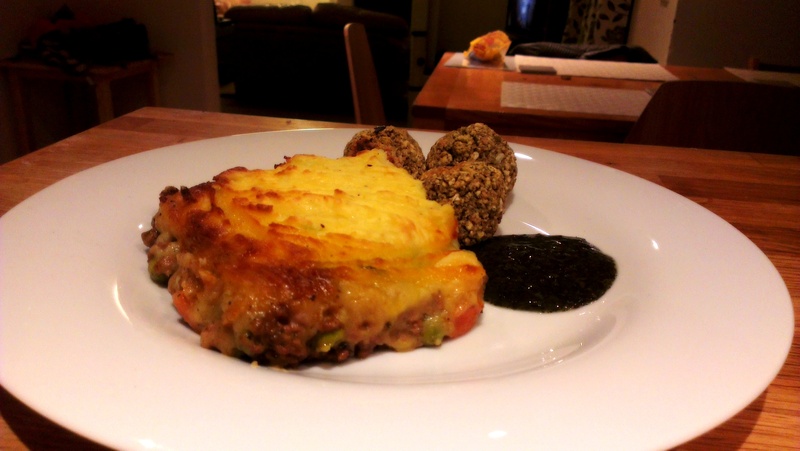 Chopped onion, tinned tomatoes, add to a shepherds pie. Also some dried herbs.